These are my favorite dessert at French shops. Although here in suburb of a suburb that is hard to come by now. So, I made my own! 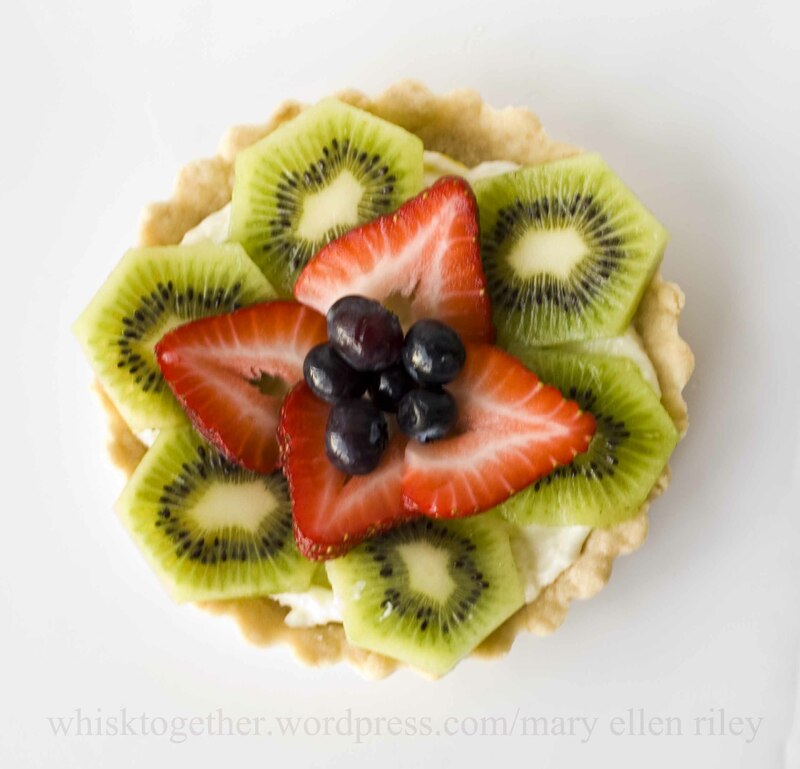 Here is the yummy fruit tart recipe I put together. Normally, the filling is a custard which requires the stove and instead I cheated with a yummy cream cheese filling that requires no cooking. It still tastes great and that is all that matters. Plus the crust is completely from scratch. You know exactly what is in it, though it may not be the most healthy of choices 🙂 That’s okay. I still think I’ve lost weight because I quit eating processed food. 1. Preheat oven to 350 degrees. 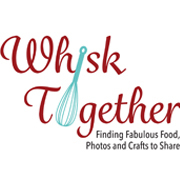 Mix together the flour and powdered sugar in a bowl. Add the vanilla and melted butter and mix until combined. This is like a shortbread dough, so expect it to be thick. Scoop about one heaping 1/4 cup of mixture for each tart pan. 2. Press mixture into the pan and around the sides evenly. Dock with a fork on the bottom (i. e. poke it). At least 6 pokes with a fork all the way to the bottom. Bake until lightly golden brown – about 9 minutes. The tart is done when it is light golden brown. Don’t let the edges get too brown. 3. While those cool on a cooling rack, mix the cream cheese, zest, juice and sugar together with a fork or mixer. 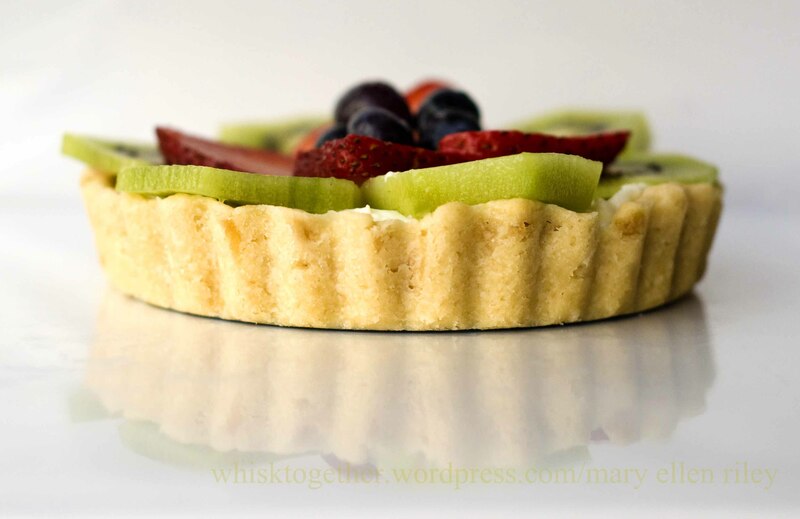 Once the tarts are completely cool, divide the cream cheese mixture between the 4 tarts evenly and spread with a knife or pipe it with a plastic baggie cut on one corner. 4. Decorate with fruit on top. 5. Put in the fridge about 30 minutes to let the cream cheese firm up a bit. If you are going to eat them over a period of time, keep everything separate and then assemble about 30 minutes before serving. The fresh fruit does not look or taste as “fresh” even cut the day. Cut the day of and you will be fine! If you want to make this into a single 9″ tart, simply increase the baking time to 20-25 minutes on the crust. Oven set to 325 degrees. Mix all the ingredients up and pat into the tart pans. Bake 5-6 minutes.